Xiaomi Redmi 1s 10th flash sale is on it’s way today ( Nov 4th), this time it’s 1,00,000 Redmi 1s units and as far as our site is concerned it’s going to be 10th flash sale from flipkart this time ( for other’s this might be 9th flash sale). In the previous sale on Oct 28th, only 60K units were on sale, but this time it’s 100K units of Redmi 1s, and if we see the registrations count, it’s more than 2.5 lakhs pre-registrations, this number says all, how the Redmi 1s is dominating and to be at the top in budget friendly smartphone in India. 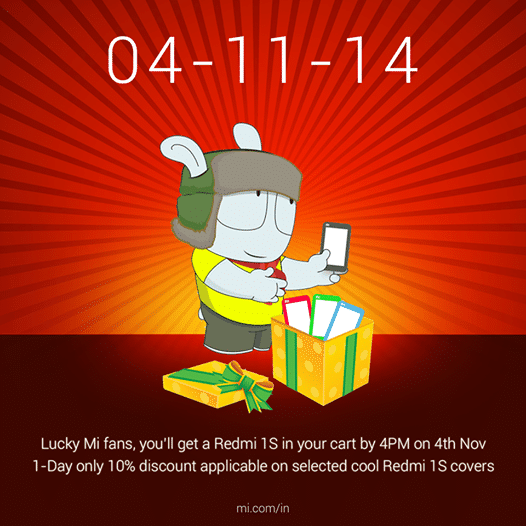 There is a special thing in this sale today, Mi india promised their fans that they will select some winners and pre-add the Redmi 1s into their carts, but there is a double bonus now, the following image from the Mi India official facebook page says all. 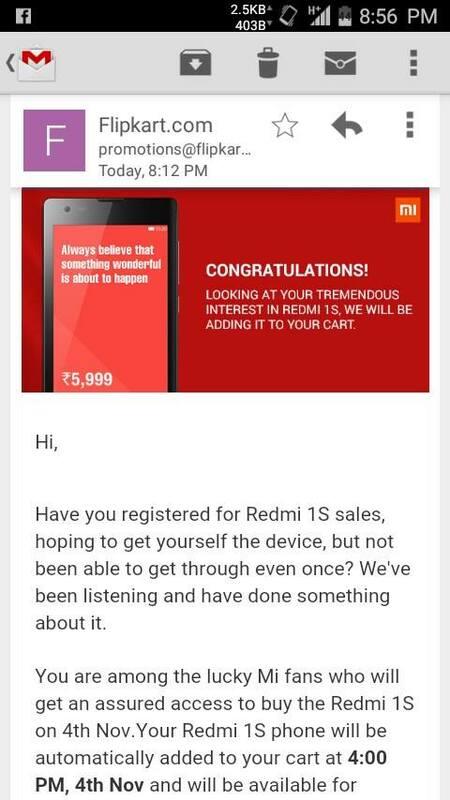 Meanwhile there were several reports claiming that Redmi Note is going to be available this month, may be Xiaomi is planning to make it official after this flash sale, we might bring you the news asap, and yeah OnePlus One is scheduled to launch in India for a price of 25,000/- , so what’s next from Xiaomi ? It will be Xiaomi Mi4, we guess the Mi4 will be available in the December or starting of next year!